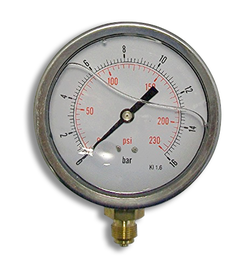 These pressure gauges are specifically designed for the Heating and Ventilation industry. For non aggressive gaseous and liquid media which are not highly viscous and do not crystallize. 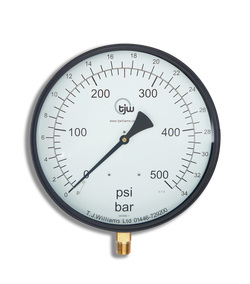 For the measurement of gas or vapour the gauges must be used in accordance with the safety regulations stated in EN837-2. 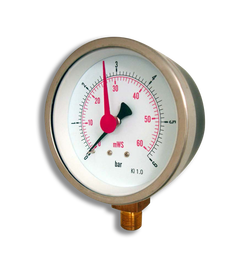 These pressure gauges are designed for the general industry market, where higher accuracy is not required. 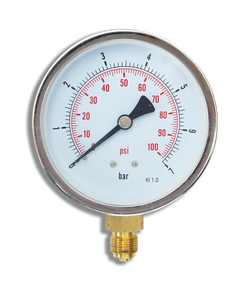 For the measurement of fluid liquids that are not:- highly viscous, high temperature (over 60°C), likely to solidify/crystallize or corrosive to copper or tin alloys. 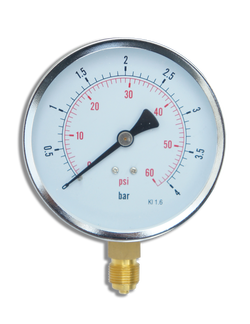 Also suitable for non-oxidising gases (such as oxygen or acetylene) up to 25 bar maximum.